Phrases like “This Space For Rent”, “Big Brother is Watching” have made it onto tens of thousands of Oculus touch controllers. 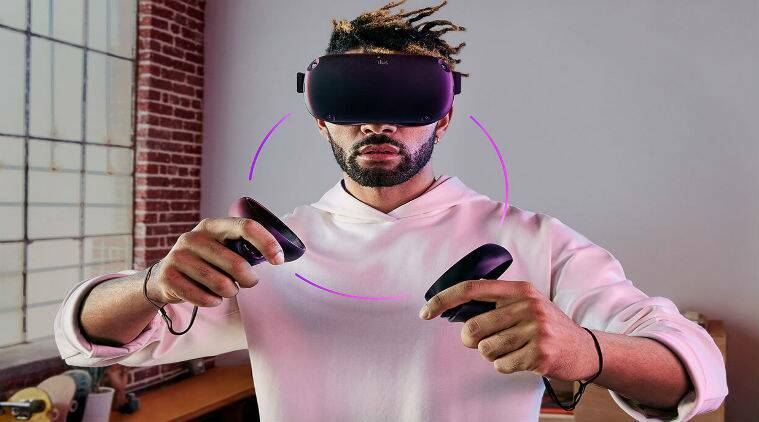 Will Facebook’s Oculus Quest headset help VR become a reality? As of now, none of the affected products have been shipped out to the consumers. Facebook-owned Oculus has released a number of its touch controllers with messages which mocked privacy. It is being claimed that these controllers were only prototypes. Nate Mitchell, Oculus co-founder revealed in a tweet that the ‘easter eggs’ mocking privacy concerns on internal components of some of its Oculus touch controllers were only meant for the prototypes. In the tweet, Mitchell states that phrases like “This Space For Rent”, “Big Brother is Watching”, “Hi iFixit! We See You!” and “The Masons Were Here” have accidentally made their way onto the internal hardware of tens of thousands of Oculus touch controllers. As of now, none of the affected products have been shipped out to the consumers. However, it is yet unknown if the company will be selling these versions of the controllers or will it be writing off this part of the inventory. In the tweet, Mitchell also states that the manufacturing process has been fixed and also guaranteed that this sort of mistake won’t be happening again. This might be a big issue for Facebook, which is currently fighting many accusations for invading the privacy on its users. These new re-designed touch controllers might have been developed for the upcoming Oculus Rift S, which the company is planning to release in Spring. Or this might be for the Oculus Quest, which is an all-in-one VR headset.